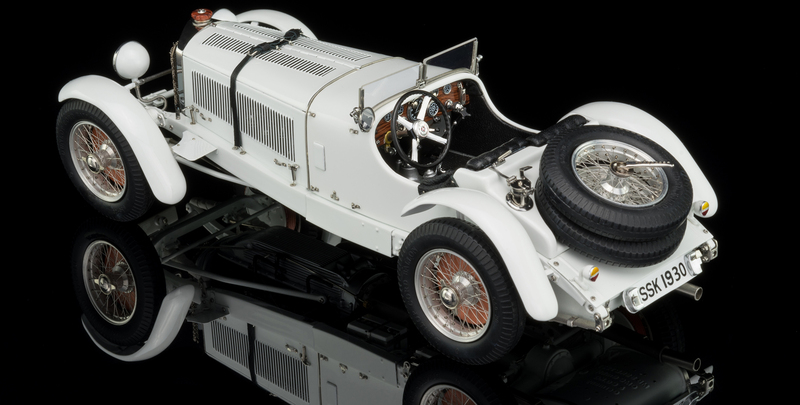 The abbreviation system S/SS/SSK/SSKL (Super-Sport-Short-Light, a coinage added after 1931) was adopted by Mercedes-Benz to designate the individual developmental stages of its sports cars, each equipped with a robust 7.1 liter inline six-cylinder supercharged engine. 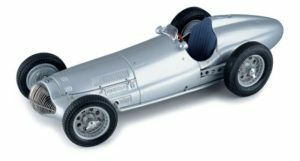 A long list of famous pilots is closely associated with these powerful machines, and among them are Rudolf Caracciola, Manfred v. Chr. Bran-chitsch, Hans Stuck, Carlos Zatuszek and Bernd Rosemeyer. 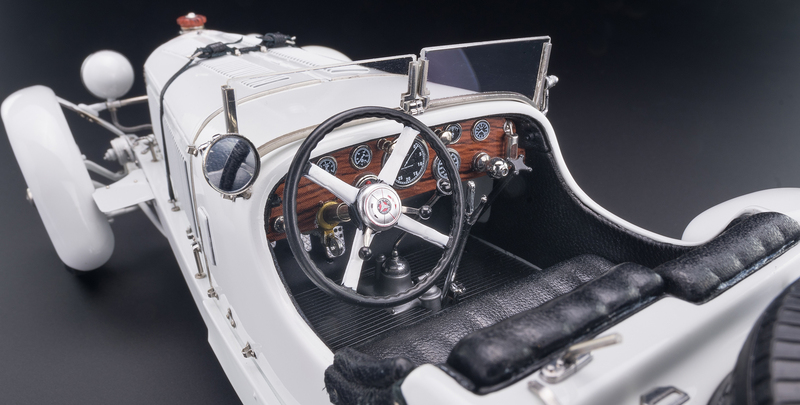 The SSK/SSKL types, in particular, constituted a highlight of the legendary S-series that has left a continuing impact on the Mercedes-Benz marque. 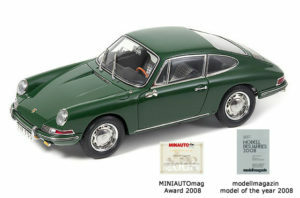 One may say, some cars belong to today as much as they did to yesterday, and they are virtually timeless. 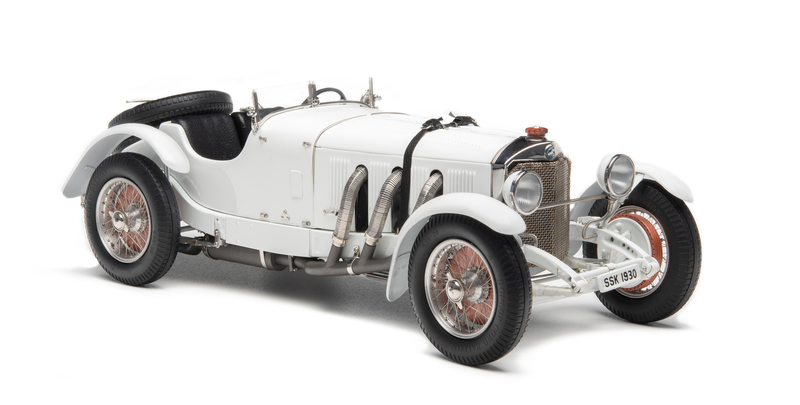 We would like to promote such a car, an all-white SSK at this year’s International Toy Fair. 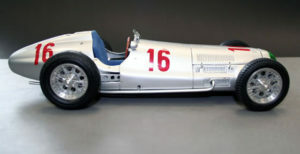 The use of racing team and/or driver names, symbols, starting numbers, and/or descriptions are solely for reference purposes. Unless otherwise stated, it does not imply that the CMC scale model is a product of any of these racing teams/drivers or endorsed by any of them.